Examiner.com’s spotlit indie book: Larkspur! I received an email this morning that Larkspur will be examiner.com’s spotlit indie book this Friday! You should be able to find it here, http://www.examiner.com/topic/indie-books, though as it is Tuesday my book won’t be there yet. I’ll edit with a direct link when it goes live. 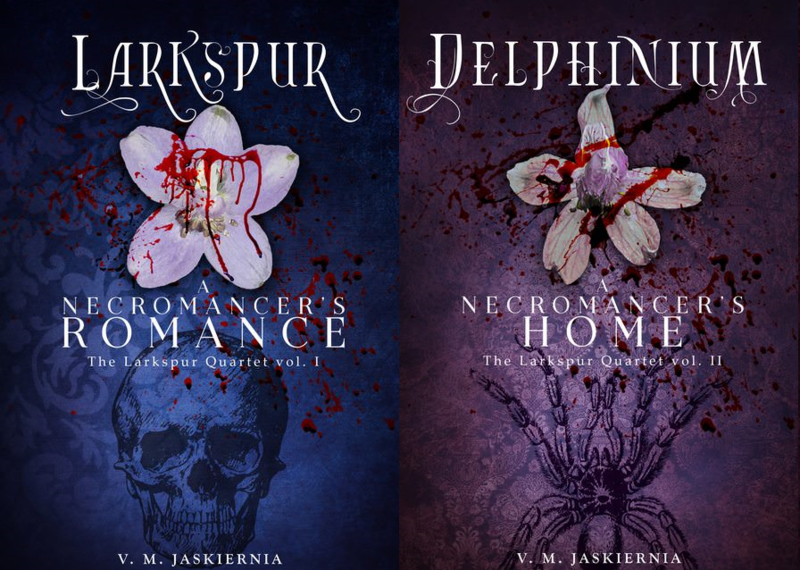 I have been super excited and happy ever since I published Larkspur. People seem to like it, and it averages 4.3 stars right now on Amazon 🙂 I’m getting the outline done for Spadille, along with the scraps and few raw paragraphs I have already written. School’s getting a bit in the way, and I won’t be able to start my Elegant Darkness review series as soon as I’d hoped (though, I did sign up to Goodreads, I might be able to review some darker works I’ve already read there and cross-post). My interview with Tellest will be live at midnight tonight, I’ll edit in the link for that as well when I can. Thank you everyone who has bought or downloaded my book, and helped/encouraged me while I was finishing it, and now dealing with it being a ‘real book.’ Remember to sign up for the email list if you want extras or early snippets, and if you have read and liked the book- please leave a review! Hope everyone’s having an awesome day!